My recent minimalist kick led me to cleaning out a huge closet that had boxes of mementos and letters. One of them has all of the sympathy cards I received after Dan’s funeral. I think I kept them incase maybe one day Audrey might want to read them because so many came with beautiful letters about her dad. 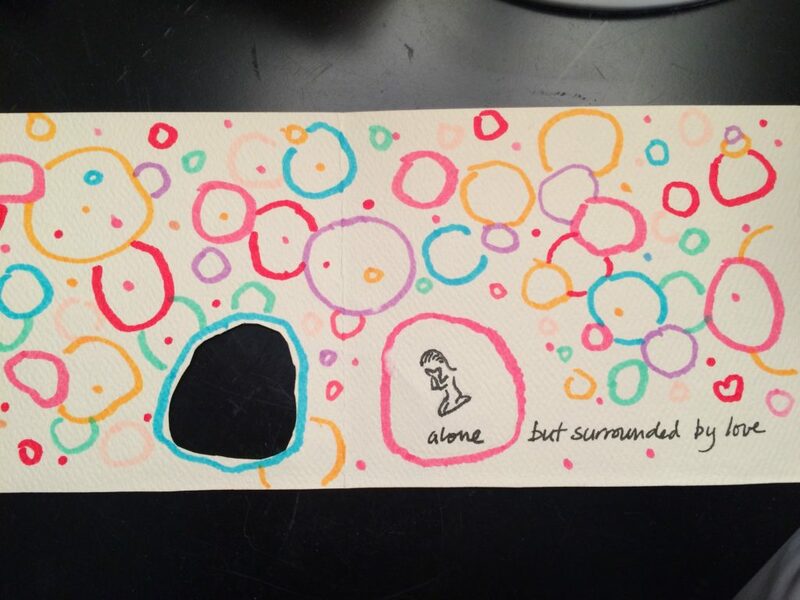 I came across a very special one though that I wanted to share for anyone who might be feeling lonely this time of year and need a reminder that you’re not alone, and you’re loved. 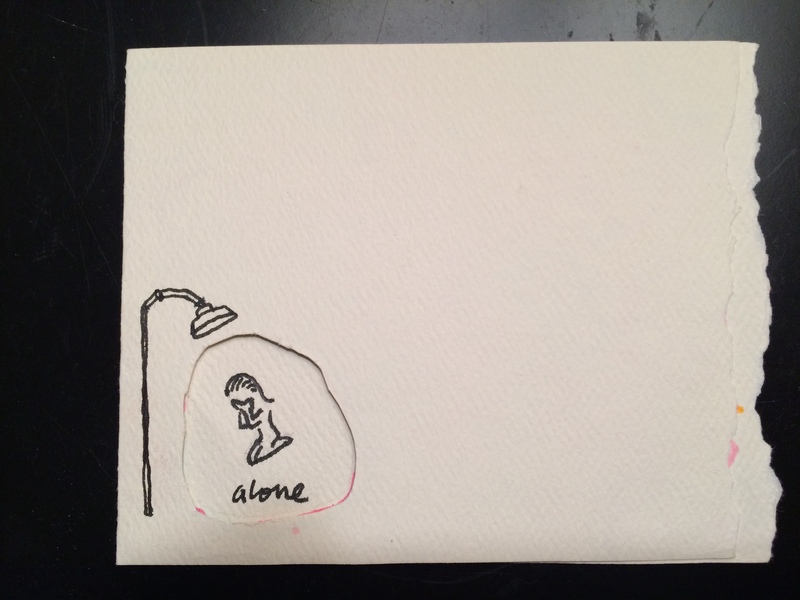 An artistic friend of mine drew this simple card after he must have read my blog where I’d been writing about how I would find myself in those first couple of weeks on my knees sobbing in the shower, feeling utterly alone, despite the constant stream of people coming in and out of our house and helping. Not very much comforted me back then, but I do remember how opening this card made me feel. I thought it was worth passing on to a wider audience. Happy Thanksgiving. So true for a lot of us a lot of the time. Thanks for sharing. Julia, that card is incredible, what a beautiful gift from a friend who really understood you so well. I feel like so many people can relate. Hope you have a peaceful holiday.